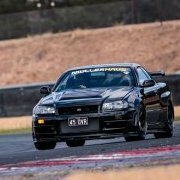 Is there anyone locally who is highly regarded in building and advising on GTR suspension set-ups or am I going to have to work with someone in Sydney? I'm about to put my 32 on the rotisserie and while the subframe is out, I'm going to pull it apart completely and rebuild/have someone else rebuild all suspension and handling elements, before re-uniting it with the chassis. I'll most likely have MCA build the coilovers (have them on my GC8 and am happy with them) but it's all the other stuff I'm seeking advice on (bracing, bushes, brackets, swaybars, links etc). 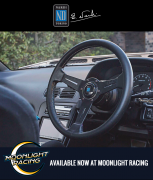 Hi Andrew, what is the target use for the car? Clean road car and spirited driving? Or something more specialist. If the former, and noting you are going to the effort of rotisserie, replace every ball joint, rod end and bush with factory or aftermarket items. New, factory style is fine for that sort of use but if you want improvements then caster rods, front upper control arms and hicas lock out are the main things. If you are going MCA for shocks they will recommend springs to match (generally quite heavy) and so you would either use stock or light upgrade sway bars. If it's for drag, drift, circuit race or rally they are all more specialist discussions. Car will be a semi-daily (dry weather days), but would like the setup to be capable of competing in Targa events and similar. Power figure will be circa 600kw ATW on pump98, so the suspension will need to be capable of keeping the car heading roughly in the right direction (appreciate that my right foot is primarily responsible for this). Is there anyone you know of who could advise on specific products? My challenge at the moment is knowing which brands to use for which specific areas, to build a holistic package. i.e. 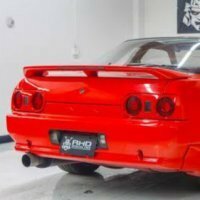 are Nismo control arms preferable to Ikeya Formula control arms etc (and the same questions for each part of the setup). 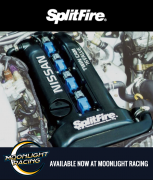 Notoras Motorsport are down in Fyshwick and have set up some pretty serious japanese cars, mainly known for their work on Evos and Hondas, but im sure they have worked on Skylines also. Could be a good starting place? Inline suspension in Queanbeyan have good feedback also, as well as Racing Ready motorsport in West Belconnen.